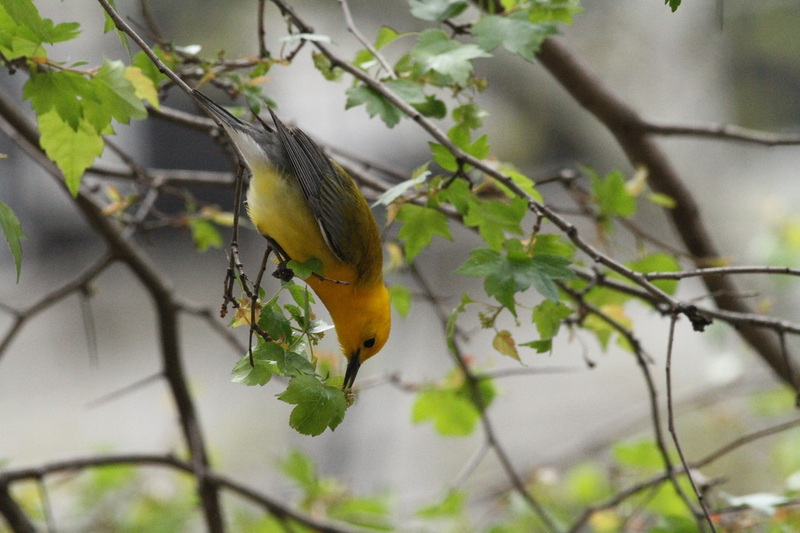 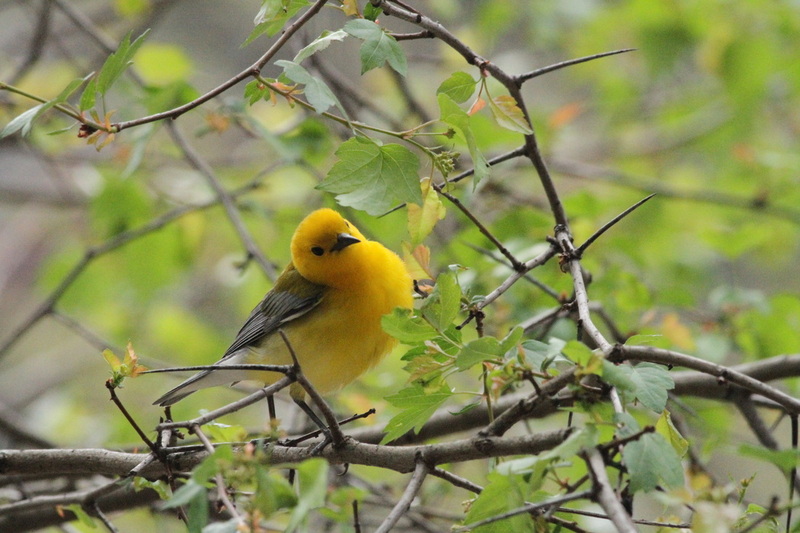 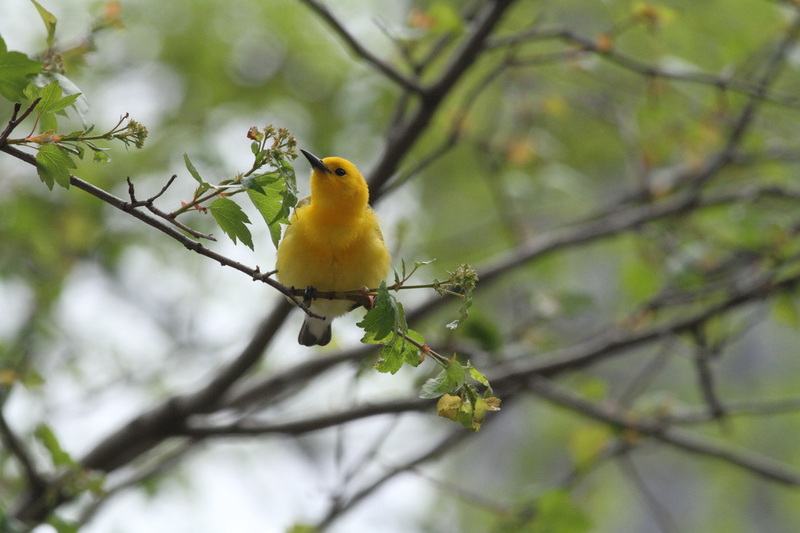 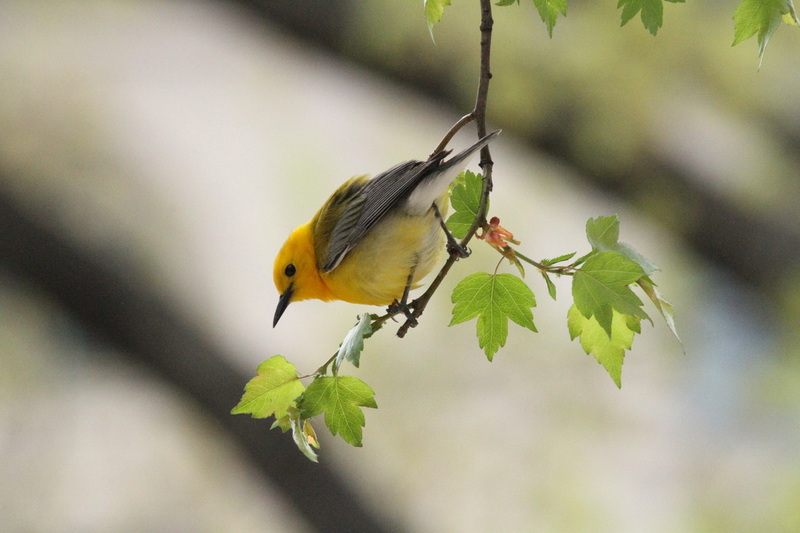 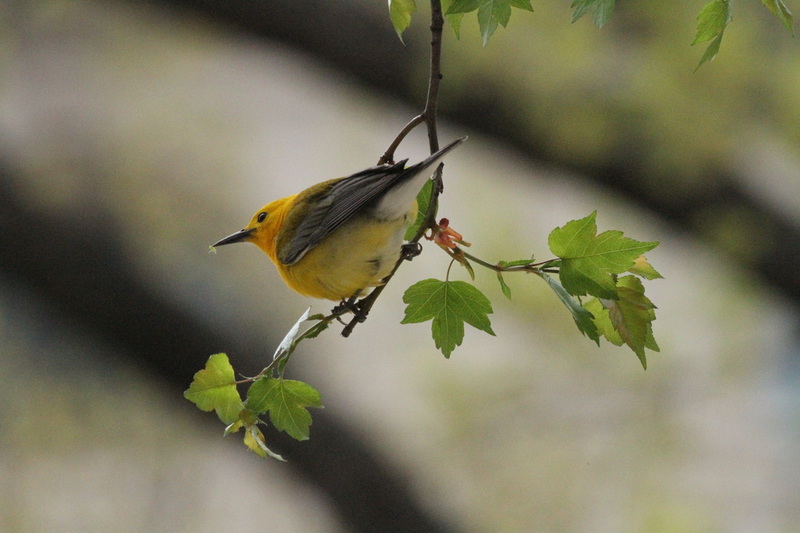 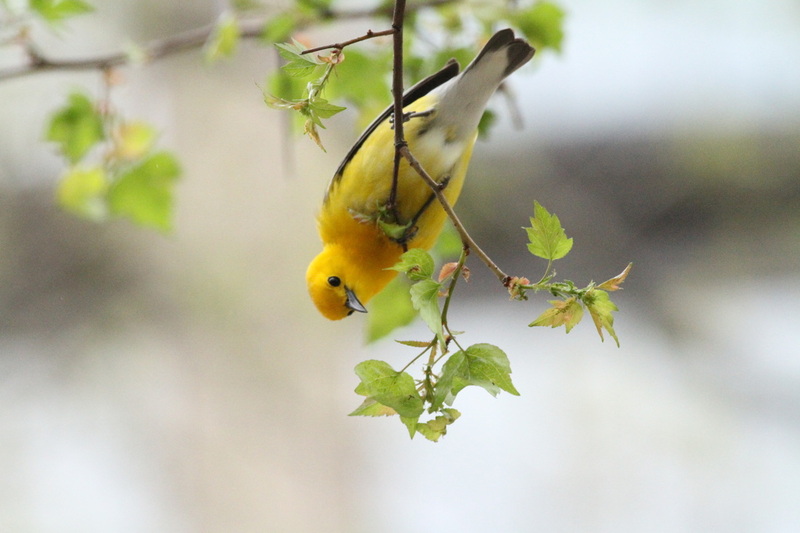 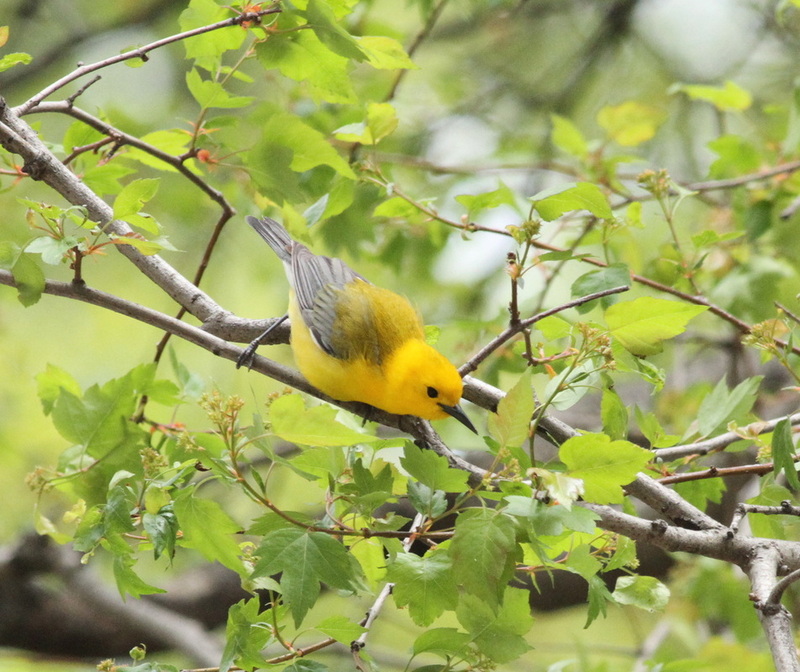 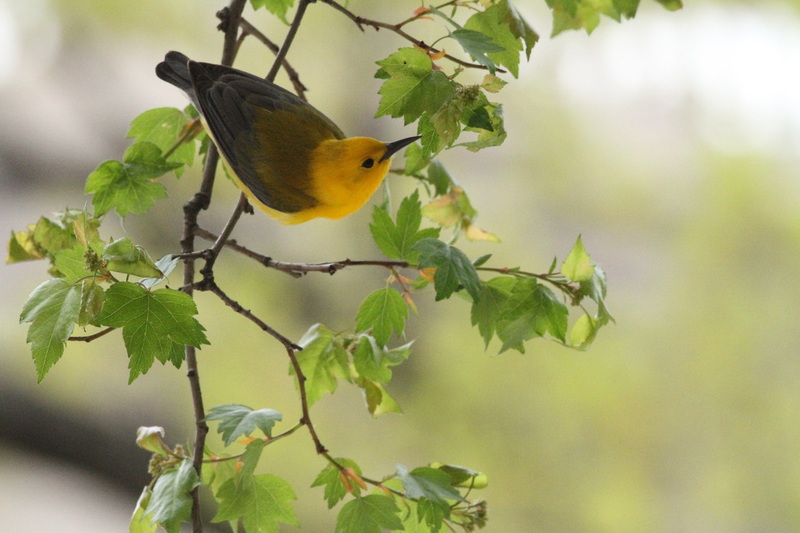 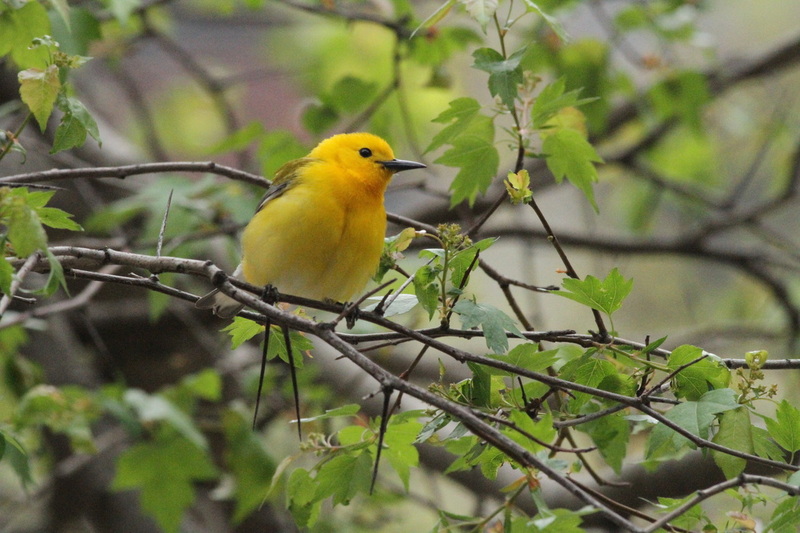 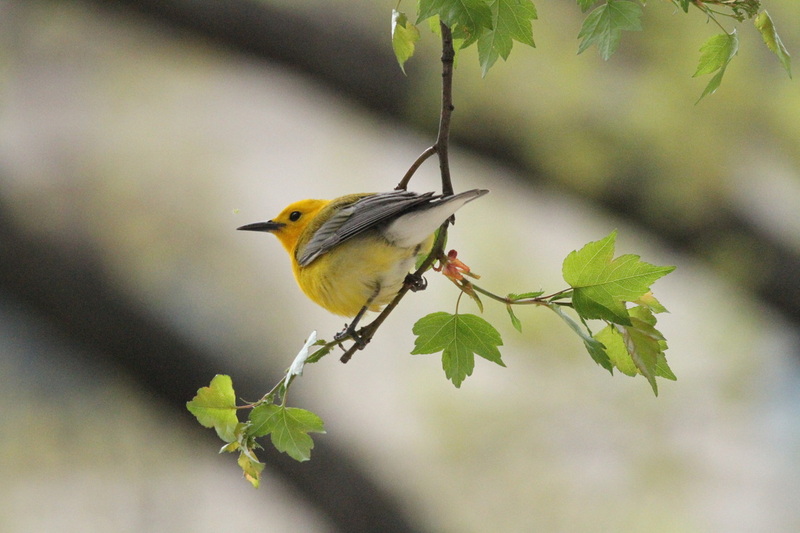 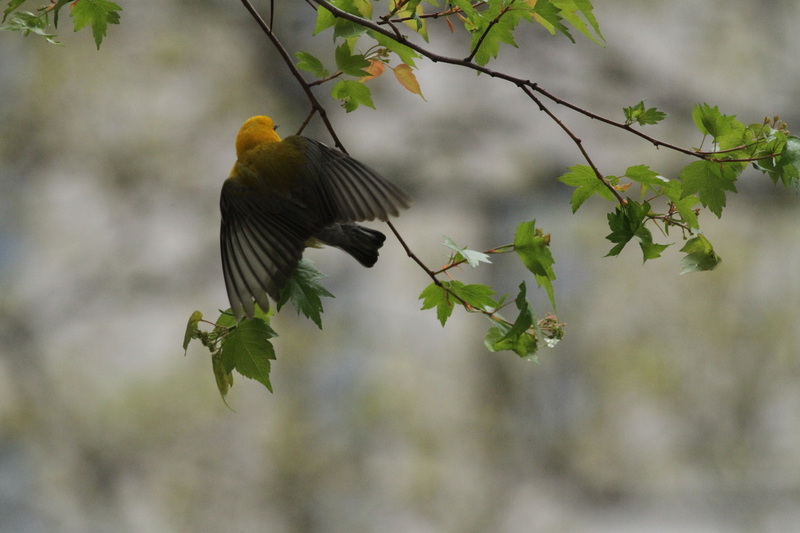 I spent more than two wonderful hours photographing the Prothonotary Warbler at Madison Square Park on Sunday. 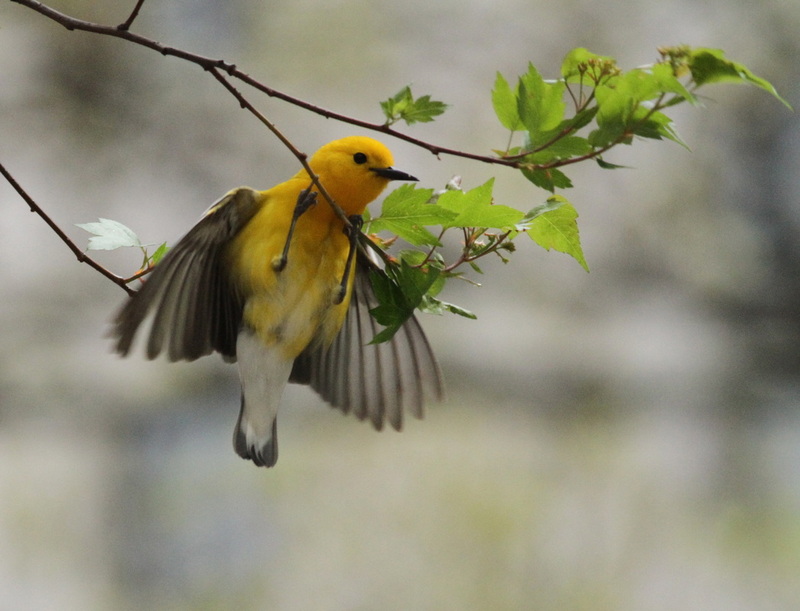 It was a sheer delight! 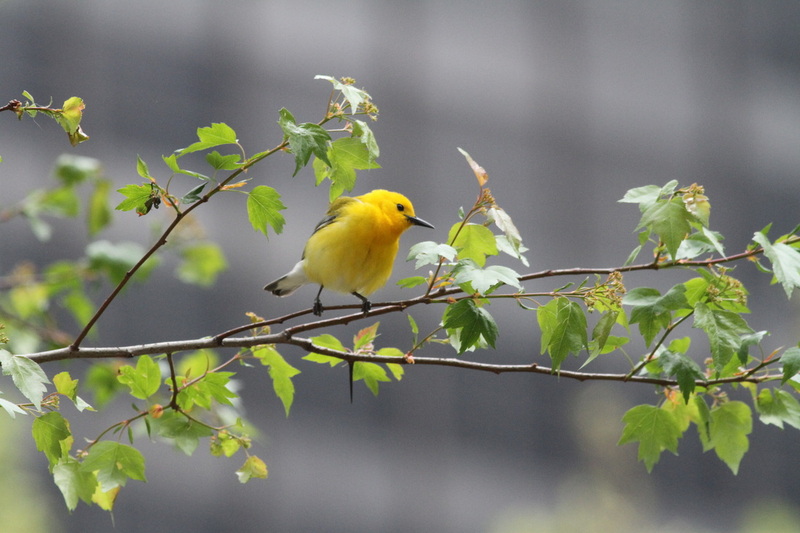 The warbler was feeding in a tree that was directly in the middle of morning brunch at the Shake Shack. 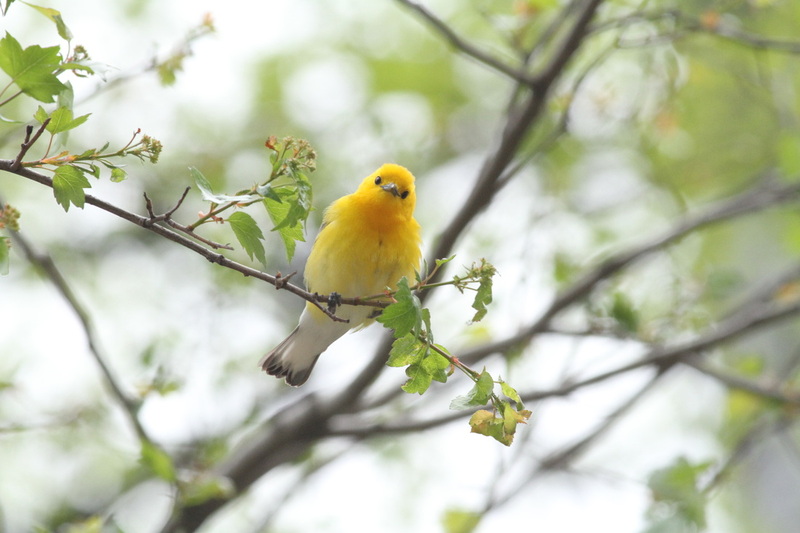 As the warbler was quite a sight for me - I must have been quite a sight for the people having brunch winding around the tables photographing this yellow feathered friend! 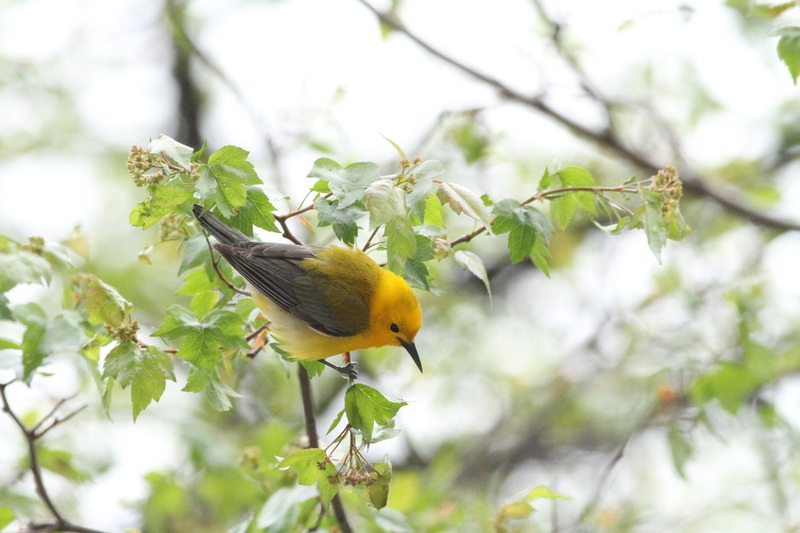 I made a lot of new acquaintances and introduced many to the world of birds and one beautiful warbler.